For users of the Electrodeposition Module, COMSOL Multiphysics® version 5.4 includes a new tutorial for pulse reverse plating. Read more about the electrodeposition news below. 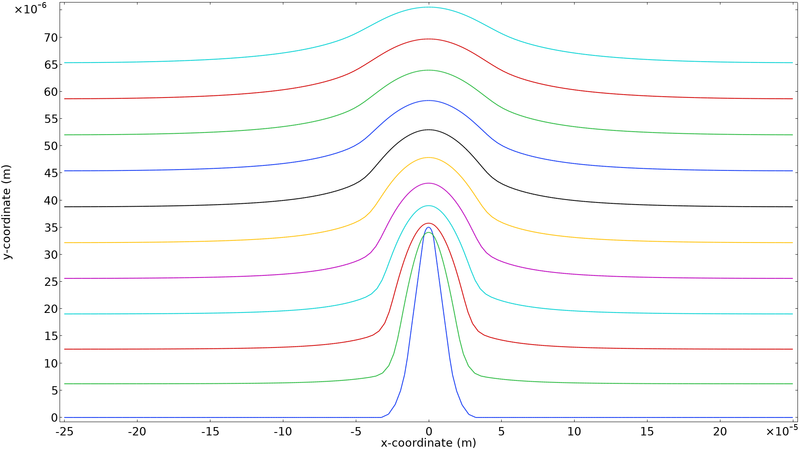 Electrode profile attenuation over time as a result of a pulse-reverse plating cycle.